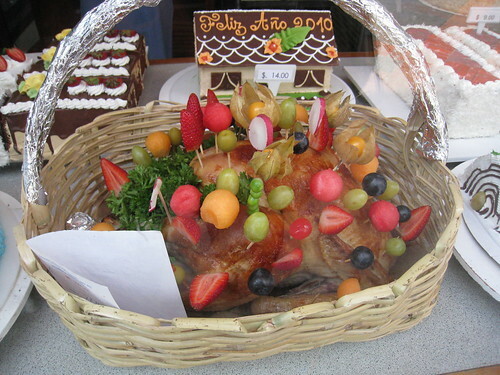 New years Turkey with garnish, originally uploaded by burro come churro. I know this comes a little late but Feliz Nuevo Año por 2010 to all my family and homies in Canada and USA y mis amigos de Mexico tambien! Aint no turkey like a NYE Quiteño turkey!